In October of 1944, Hitler overthrew the leader of the Hungarian government, Miklos Horthy, and replaced him with Ferenc Szalasi. Szalasi, whose ideology closely followed Hitler’s, immediately established the Arrow Cross Party - a fascist, anti-semitic organization that brutally and publicly terrorized the Jews in Budapest by beating and killing them. 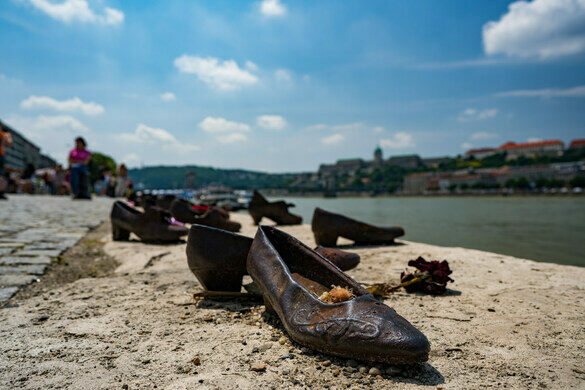 Nearly 80,000 Jews were expelled from Hungary in a death march to the Austrian border and approximately 20,000 Jews were brutally shot along the banks of the Danube River. 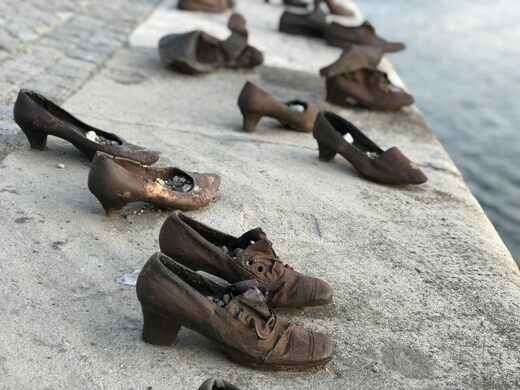 The victims were forced to remove their shoes at gunpoint (shoes being a valuable commodity during World War II) and face their executioner before they were shot without mercy, falling over the edge to be washed away by the freezing waters. 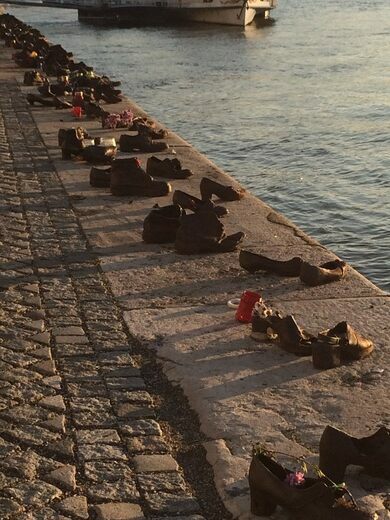 Shoes on the Danube Promenade is a haunting tribute to this horrific time in history, created by film director Can Togay and the sculptor, Gyula Pauer. 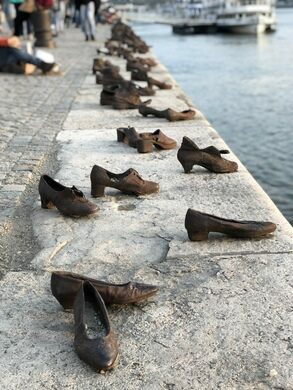 Installed along the bank of the Danube River in Budapest, the monument consists of 60 pairs of 1940s-style shoes, true to life in size and detail, sculpted out of iron. 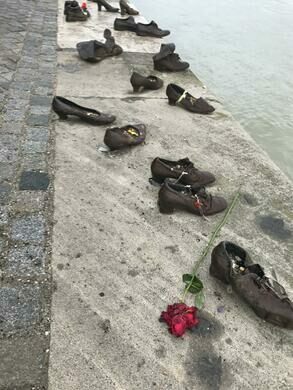 This memorial is simple yet chilling, depicting the shoes left behind by the thousands of Jews who were murdered by the Arrow Cross. 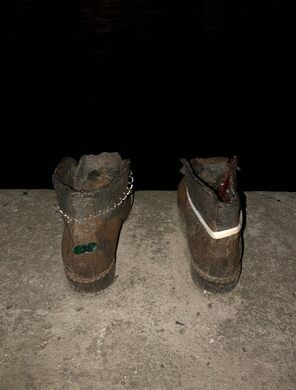 The style of footwear - a man’s work boot; a business man’s loafer; a woman’s pair of heels; even the tiny shoes of a child - were chosen specifically to illustrate how no one, regardless of age, gender, or occupation was spared. 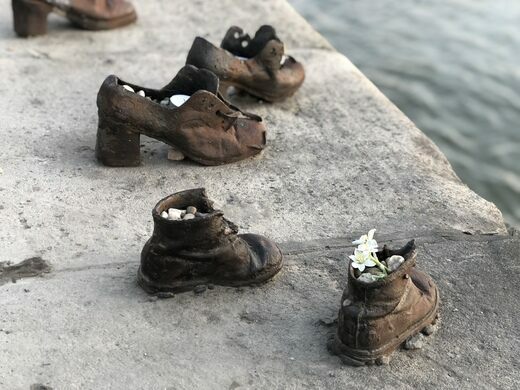 Placed in a casual fashion, as if the people just stepped out of them, these little statues are a grim reminder of the souls who once occupied them - yet they also create a beautiful place of reflection and reverence. 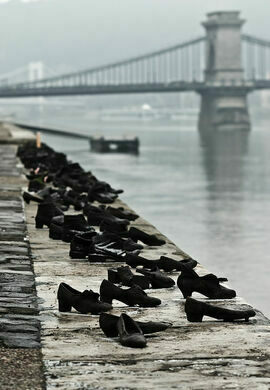 Located along the edge of the Danube River, on the Pest side, just south of the Hungarian Parliament Building. Go there before sunset time, the views are great with the sun dropping down and the lights of the city coming out. 18 Id. Antall József rkp. 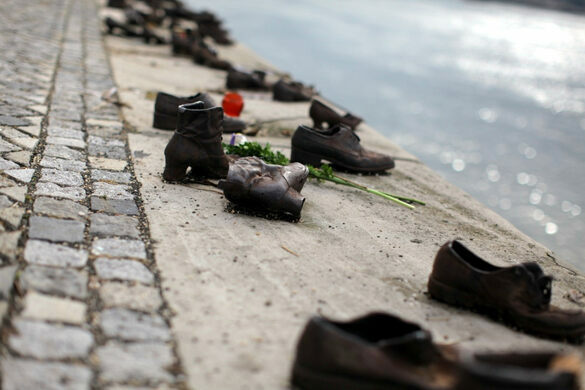 This easily overlooked memorial immortalizes the scars from the 1956 Hungarian Revolution.